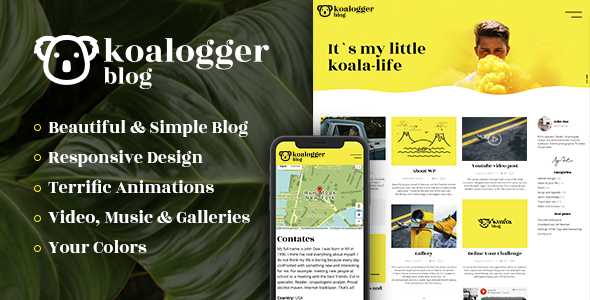 Koalogger is very simple, clean, modern and bright WordPress theme for bloggers with responsive design and RTL support. It was created in order to spend more time on creating good content, not for routine with customizations and settings. Trust our designers and enjoy the creation of bright and cool content. We used bright combination of colors and typography with small inclusions of intresting features. Theme tested on WordPress 4.3 and later. It works on last versions of browsers (including IE 10 and 11) and on mobile browsers.